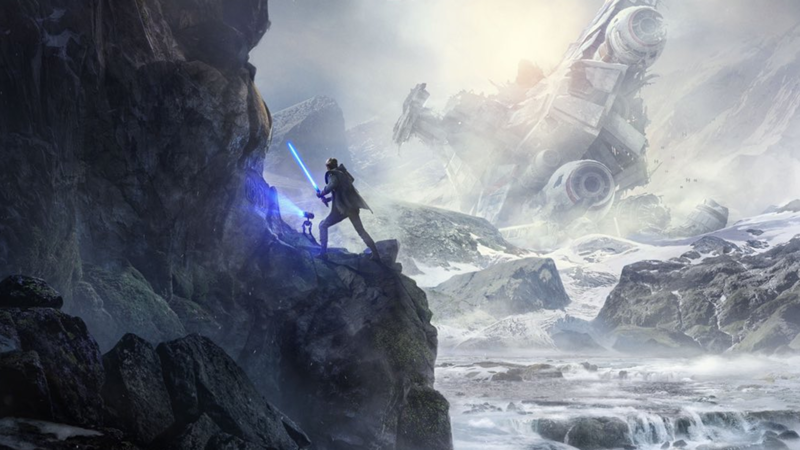 Earlier today, EA Games revealed the first trailer and information for Star Wars Jedi: Fallen Order at Star Wars Celebration Chicago 2019. With the announcement and first look out of the way, retailers decided it was time to post pre-order links for the game. One of the most interesting links comes from Gamestop. Apparently for $82.98, you can get an exclusive Gamestop bundle that features the game for the either the PS4 or the Xbox, along with an exclusive Star Wars: The Black Series action figure from the game. The listing does not reveal which figure from the game will be included in this release. This is however just another option to think about when pre-ordering the game. Hopefully we will know more about this upcoming figure soon. You can find the PS4 link here, or the Xbox link here. Next articleOuter Rim News – April 12, 2019 The Rise of Skywalker Trailer Breakdown!